On the heels of an illustrious 2018 that solidified Hazey Eyes as a premiere act in the realm of chill electronic, the artist announces his first headline tour coming this March. 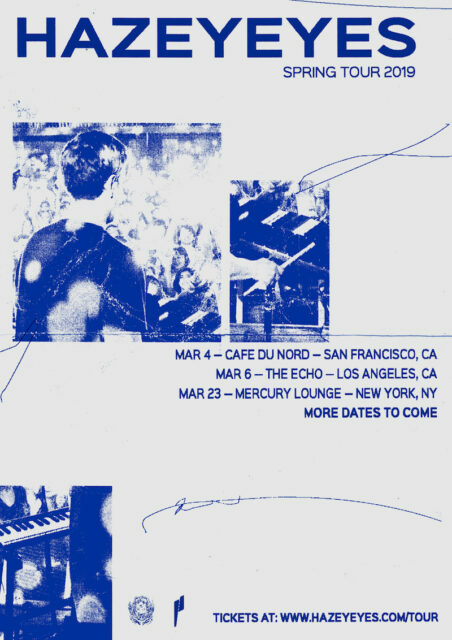 The tour stops in San Francisco at Cafe Du Nord on March 4, Los Angeles's The Echo March 6, and Mercury Lounge in New York on March 23, with more dates to be announced. Last year saw the one man phenom support the likes of shallou and Petit Biscuit on the road, but this tour gives maestro Hazey the full creative control he deserves. From the addition of a live drummer for the first time, to enhanced visuals, new instruments, and fresh music from his forthcoming EP (due March 1), this tour is packed with treats. 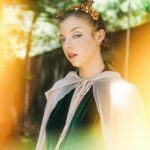 Hazey's team is giving away a pair of tickets for each headlining city. Try your luck here. And in the meantime, enjoy his latest single "Scars," which has earned heavy rotation on my introspective playlists this month. See you on the dancefloor!